Few colleges can match the depth and breadth of Purdue Engineering’s research capabilities and talent. We are focused on 21st century impact — leading the way in reshaping the research universe through discovery and innovation. The “tsunami” of digital manufacturing is here — and Purdue University has a major new resource to handle it. 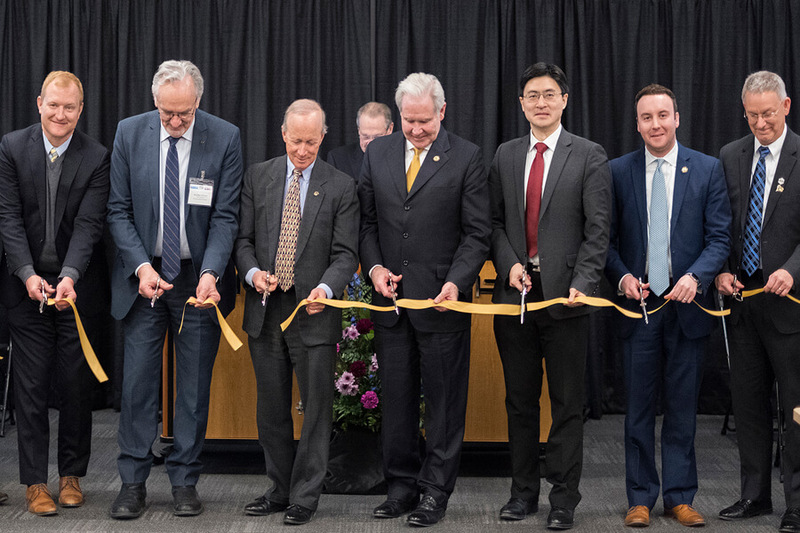 Purdue officials held a ribbon-cutting ceremony and open house Wednesday (Jan. 30) for the Manufacturing Design Laboratory, a research space dedicated to the technology-driven future of manufacturing in Indiana and across the globe. The Manufacturing Design Laboratory is housed in Purdue’s Composites Manufacturing and Simulation Center (CMSC), a part of the Indiana Manufacturing Institute (IMI), located at Purdue Research Foundation’s Purdue Research Park of West Lafayette. Established in 2015, IMI is a partnership between Purdue and the state of Indiana. “This laboratory provides a space to bring together Purdue resources and manufacturing expertise from across Indiana to create new ways to maximize the opportunities presented by digital manufacturing,” Purdue President Mitch Daniels said. An increasing demand from incoming Purdue Engineering undergraduates for research experience and a societal trend towards students seeking technological solutions for global challenges has led to the creation of the College of Engineering’s new Office for Undergraduate Research. The office opens in January and will centralize opportunities for student research experiences. 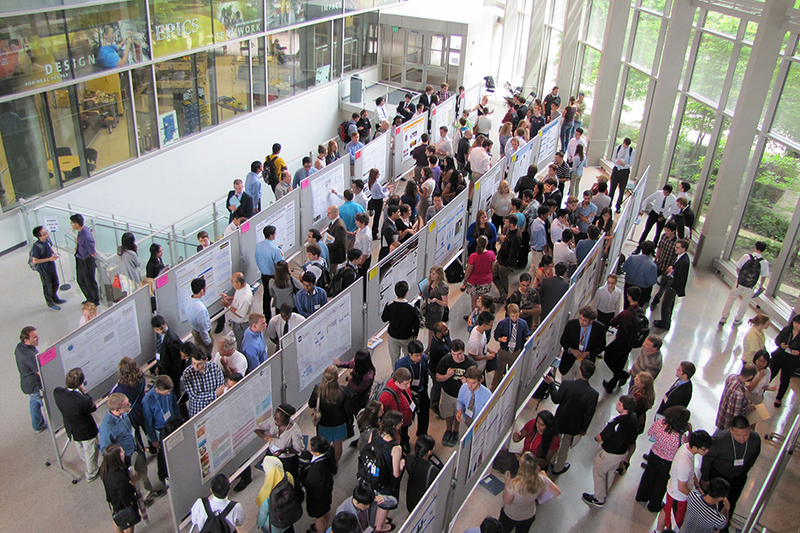 The office will expand on the College’s Summer Undergraduate Research Fellowship Program (SURF) launched in 2003. It will offer a portfolio of research opportunities for students of all levels throughout the academic year, and will be directed by Dean’s Fellow John Howarter, an associate professor of Materials Engineering and of Environmental and Ecological Engineering. “In the last five years, many students have come in with significant research experience as high school students, and some want to get into research in their second year,” says Melba Crawford, associate dean for Research, professor of Civil Engineering, professor of Electrical and Computer Engineering, and professor of Agronomy. Crawford spearheaded the new office with Eckhard Groll, associate dean for Undergraduate and Graduate Education and the Reilly Professor of Mechanical Engineering. Give us your contact information for the print and online versions of Frontiers and Impact magazine. 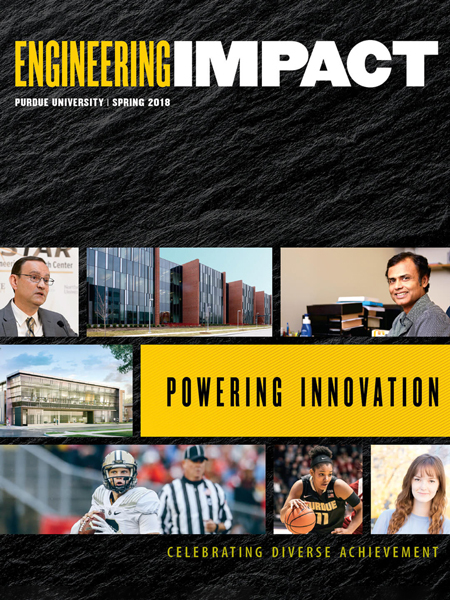 Follow @PurdueEngineers for the latest news, insider access to events and more.